Happy Valentine's Day! Have you got your Valentines made out? I think I'm all set, I left hubby's card on the coffee table for him last night so he would find it when he got home from work late last night. We work opposite shifts so we don't see too much of each other, so I get creative. I also slipped a little Valentine treat bag into his lunch box so he'll find it when he packs his lunch later today. 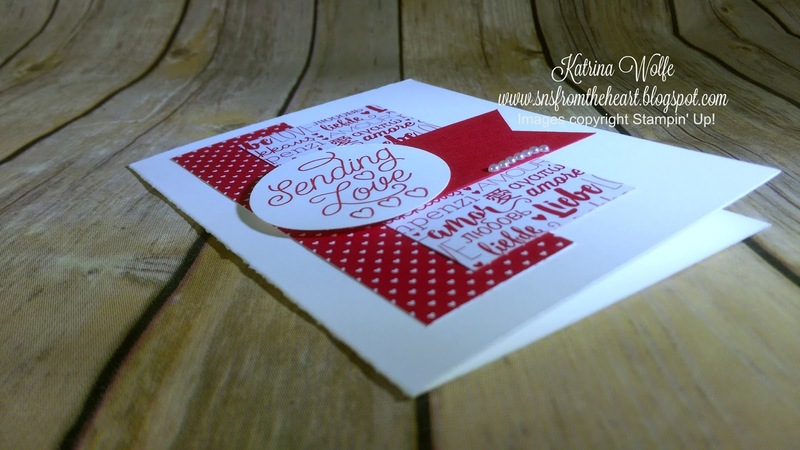 Anyway, I decided to make one last Valentine for today using the Designer Tin of Cards stamp set and the Sending Love DSP stack. Adhere the DSP to the card using Fast Fuse. Banner one end of the Real Red cardstock and adhere to the card. Stamp the sentiment in Real Red ink and add the strip of hearts below. 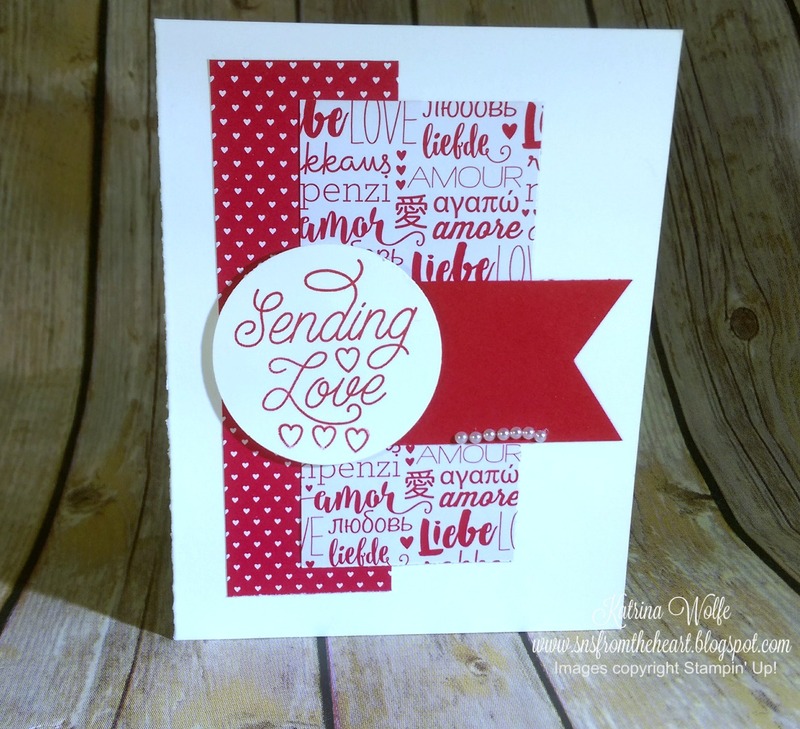 Punch the sentiment out using the 2" circle punch and adhere to the card with Dimensionals. Add a strip of Basic Pearls to the Real Red Banner. I hope you enjoyed today's card. Please feel free to leave a comment. Until next time. Have a great day and Happy Valentines Day.